A veteran of the construction, heavy machinery and trucking industry for more than 30 years, Joe Santora has walked in the shoes of his clients. He understands the methodology for valuation as well as the equipment itself. 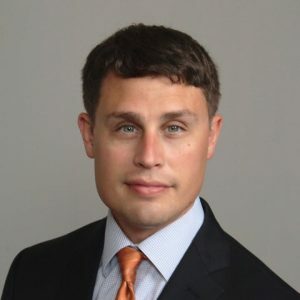 So in 2003, he launched Irontrax LLC, offering his uniquely qualified professional services — with decades of first-hand experience in all aspects of the trade — to those seeking asset management, consulting, appraisals and remarketing of bank-owned construction, trucking and mining equipment. The company also handles lease-end negotiations, workouts and litigation consultation. Today, the former one-man-operation has grown into a team of highly-regarded industry experts servicing North American, Canadian and Caribbean clients. Irontrax is an approved appraiser with Master Services Agreements (MSA) for nearly half of America’s Top 50 banks and finance companies as well as a trusted partner for equipment managers and construction professionals. 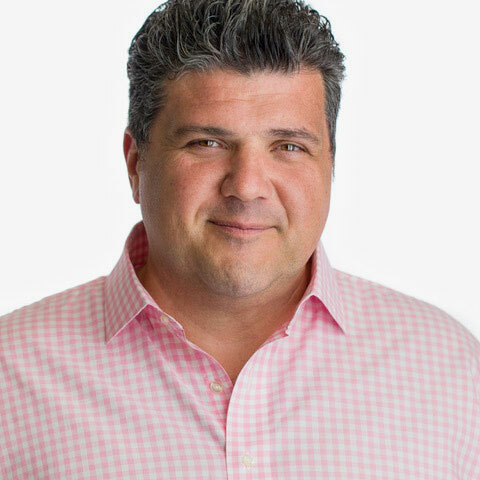 Joe’s long-standing relationships in the market, coupled with his third-party independent perspective, have yielded consistent spot-on valuations for Fortune 500 and yellow iron clients alike. His special skill sets – including his sought-after status as an expert crane appraiser — have helped Irontrax develop a reputation as an industry leader. It’s no surprise that Joe chose this career path; it was in his DNA since before he was born. His introduction to the family construction and trucking business began when he was 11, when he worked at his uncle’s trucking company, doing such menial tasks as changing oil and sweeping floors. During his early teens, he spent several summers working for another uncle whose company laid water and sewer lines for Walt Disney World. During college summer breaks, he drove dump trucks. After graduating in 1995 from the University of Akron with a degree in marketing and a minor in advertising, Joe served as National Accounts Manager at Insight Auctioneers (Sebring, Fla), appraising equipment for financial institutions, contractors and national heavy equipment rental companies. As Territory Manager (Atlanta and Cleveland) at Ritchie Bros. Auctioneers – the world’s largest auctioneer of unused and used heavy equipment and trucks — he petitioned consignors, appraised equipment for financial institutions, contractors and national heavy equipment rental companies. Having earned widespread industry respect, Joe then was recruited to bring his expertise to a newly created position at First Merit Bank (Akron, Ohio). As its Asset Manager, he developed the institution’s Asset Management programs and established bank policy for the Equipment & Leasing & Finance Division. As the bank’s first equipment manager, he was responsible for providing residual analysis, developing an approved appraiser list and negotiating maturing leases. He eventually returned to his roots, as President of Alton Equipment (Miami Beach), where he bought, sold, brokered and sourced used construction equipment throughout the country for several years before founding Cleveland-based Irontrax, whose core business is machinery and equipment appraisals. Joe completed his Uniform Standards of Professional Appraisal Practice (USPAP), and in 2007, earned his Accredited Senior Appraiser designation from the American Society of Appraisers International (ASA). He is a member of the organization’s Machinery & Technical Specialties (MTS) Committee, which establishes international appraisal policies, standards and education. Moreover, in October 2015, he received the society’s prestigious “Jerry F. Larkins Volunteer Service Award” for his pioneering work as Founder/Chairman of the association’s popular annual Equipment Valuation Conference. The five-year-old continuing education presentation – supported by most of the major appraisal firms and banks – brings parties from both sides of the industry together while teaching appraisers about equipment methodology. Registration has sold out and almost doubled over the years. A member of the Equipment Leasing & Finance Association’s (ELFA) Equipment Management Committee, Joe has been a speaker at the trade group’s management conferences in 2012, ‘14-‘15 and is slated to return in 2016 to again address how Dodd/Frank financial legislation impacts the industry. Past Vice Chairman for the Ohio Contractors Association (OCA), Joe has also served on a number of its committees. He has been published in several financial and construction trade publications including ASA’s MTS Journal (2015), Secured Lender, and Crane and Rigging Hotline. Meanwhile, he regularly attends continuing education industry courses. A Phi Sigma Kappa alumnus, he loves to travel and drive his restored classic cars. Joe’s collection consists of a ’69 Dodge Charger, ’68 Ford Shelby Mustang, ’68 Chevy Camaro convertible and ’66 Cadillac El Dorado convertible. A dedicated advocate for his community, Joe has volunteered for organizations including the Catholic Diocese, Providence House, St. Augustine’s Food Bank, Camp Cheerful, St. Jude Children’s Research Hospital and Rainbow Babies & Children’s Hospital. He lives in Cleveland, Ohio, with his wife and two children, where he is – sadly – a fan of the city’s professional sports teams. During his 30 years in the equipment and trucking industry, Mike Holck has earned a national reputation as a consistently accurate appraiser for such over-the-road vehicles as semis, trailers, concrete pump trucks, car haulers, tow trucks and buses. What sets Mike apart from his appraisal industry peers is his technical mind set. He’s a mechanic at heart. He’s done it all, from changing tires to rebuilding engines. So he can offer clients the best of both professional worlds: precise valuations and equipment expertise.Mike started out at the ground level — washing trucks and trailers in high school – before becoming a truck driver in 1985. Eventually, he formed his own company, Holck Trucking, before joining Taylor & Martin auctioneers, where he spent 12 years as a Senior Appraiser and Assistant Manager of appraisal services. At Irontrax, Mike is a trucking specialist who oversees and executes physical and desktop appraisals, provides residual analysis and consultations to lessors, and performs lease-end inspections. His reputation has drawn clients from outside the traditional trucking industry, including a recent appraisal on a NASCAR motor coach. He’s also a certified boom inspector for Putzmeister, a concrete pump truck manufacturer. An Accredited Senior Appraiser with the American Society of Appraisers International (ASA) since 2009, Mike was a 2012 and 2014 trucking industry speaker at ASA’s Equipment Valuation Conference. Mike has also presented and participated for several years at the annual Equipment Leasing & Finance Association (ELFA) Conference product showcase. Most recently, he was a 2015 Equipment Management Conference speaker and will reprise this role at the 2016 conference. Community minded, Mike is a past volunteer for the YMCA and has coached Little League for several years. A Nebraska Cornhuskers fan, he lives in Omaha with his wife and two children. Vince Lorenz was raised working in the construction equipment business. One of five brothers, his family owned and operated a construction equipment dealership for over 70 years in Columbus, Ohio. He grew up working side-by-side with mechanics, truck drivers, parts representatives and business owners looking to service, rent or purchase heavy equipment…all the time learning the equipment from the inside out.After obtaining a business degree from the University of Dayton, Vince started his professional career already head of most in the industry. His hands-on experience landed him jobs with two different Caterpillar dealers, where his work included evaluating, pricing, selling and leasing heavy equipment.With a solid foundation appraising everything from a single trade-in to whole fleets of equipment, Vince went to work for the world’s largest industrial auctioneer, Ritchie Bros. Auctioneers. During his time at Ritchie Bros., Vince expanded his wealth of knowledge to hundreds of different makes and models of trucks and equipment. He achieved sales of more than $125 million and was the recipient of performance awards recognizing his knowledge and drive. Importantly, Vince also gained substantial valuation experience. Understanding equipment values was a key aspect of his job and he became an expert at factoring in age, usage, condition, repairs needed and other underlying factors before calculating value based on supply and demand. A perfect mix of innate understanding, research, contacts in the industry, and knowledge of current market conditions allowed Vince to accurately and effectively assist customers with their equipment disposition needs.Throughout his career, Vince’s experience has taken him to hundreds of construction sites, contractor shops, oil & gas pipeline jobs, and quarries. 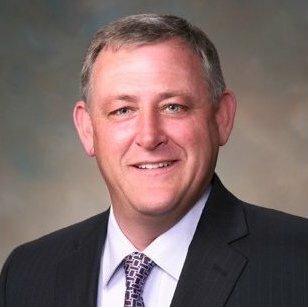 He understands current market conditions and best appraisal practices for heavy equipment and maintains relationships with industry contacts throughout the Unites States.His work with Irontrax includes field appraisals that range from individual items to entire fleets, working with equipment owners, banks and equipment leasing companies. Specialty areas for Vince include trucking, mining, construction and the oil and gas pipeline industry.When not on the road or working on an appraisal report, Vince and his wife organize 5K running races throughout the Mid-Atlantic region. They enjoy fishing, water sports, hiking and skiing. Financial analysis of complex matters is second nature to Tom. His experience includes 40+ years in the valuation field, 20 of those working with a national commercial bank, handling all areas of collateralize financial transaction, remarketing of off-lease equipment and FAS reporting. His wide range of work spans all equipment types, with specialties in rail assets, oil and gas related equipment, printing equipment, plastics, machine tools and food processing, including dairy equipment. Tom also brings a portfolio of diverse experience in performing asset management functions, including structuring lease extensions and forming policy for care and disposition of equipment in repossession situations. He is versed in performing real estate appraisal reviews for FIRREA compliance, including industrial, institutional, commercial, single and multi-family residential real estate. Additionally, he provides risk assessment in proposed financial transactions for both real estate and machinery and equipment. 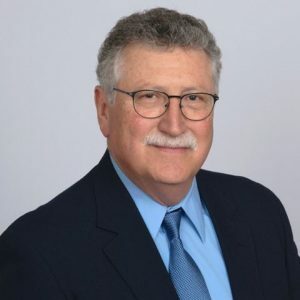 He’s an Accredited Senior Appraiser with the American Society of Appraisers International (ASA) since 1984, Machinery Equipment and Technical Specialties designation and a past member of the Machinery and Technical Specialties Committee of the ASA. Within ASA, Tom held numerous leadership roles and given presentations on topics such as the federal Dodd -Frank rules and their effect on the banking industry and on the dynamic of equipment appraisals and their interpretation in the banking industry. In addition, he is past president and secretary, and current treasurer of the Columbus Chapter of the ASA and was Ohio State representative of the ASA in 2005. Tom and his wife of 35 years live in Columbus, Ohio, with their two adult children nearby in central Ohio engaging in their professional careers. Tom is an avid reader, enjoying history, fiction and biographies. His current passion and frustration is the game of golf. Every Irontrax professional has equipment industry experience and first-hand perspectives that can help clients identify what adds value to the way a company utilizes and maintains and its assets. We are committed to helping our clients achieve their goals by offering reliable information and services that are used to make better financial decisions. Irontrax was founded in Cleveland, Ohio in 2003 by Joe Santora, a former equipment asset manager at First Merit Bank in Akron, Ohio. Joe, and his equipment manager counterparts at other financial institutions, struggled with finding equipment appraisers that delivered true valuations upon liquidation. Joe, who made it his business to deeply understand equipment valuations, was asked by one of his former banking counterparts to appraise a piece of equipment. Seizing this need in the market, Joe subsequently left First Merit and launched Irontrax. "The American Society of Appraisers is a world renowned and respected international organization devoted to the appraisal profession. ASA is the oldest and only major appraisal organization designating members in all appraisal specialties. Once Candidates have fulfilled the ARM education and testing requirements, they may apply for a designation. Accreditation from the American Society of Appraisers Appraisal Review and Management Discipline, includes the AM (Accredited Member) designation and the ASA (Accredited Senior Appraiser) designation. Strict adherence to the ASA Code of Ethics is observed and enforced by members at all times. Accredited Members are required to have two (2) years of full-time appraisal experience and Accredited Senior Appraisers are required to have five (5) years of full-time appraisal experience in Personal Property appraising."